I came across this tag a while ago and thought I'd do it here on the blog. Feel free to do it as well in the comments or on your own blog. I don't know who created it so I can't give credit but just know I didn't come up with any of the questions myself. Eu encontrei esta tag há uns tempos e pensei em fazê-la aqui no blog. Podes fazê-la também nos comentários ou no teu próprio blog. Eu não sei quem a criou por isso não posso dar crédito mas quero que saibas que não fui eu que inventei nenhuma das perguntas. 1. 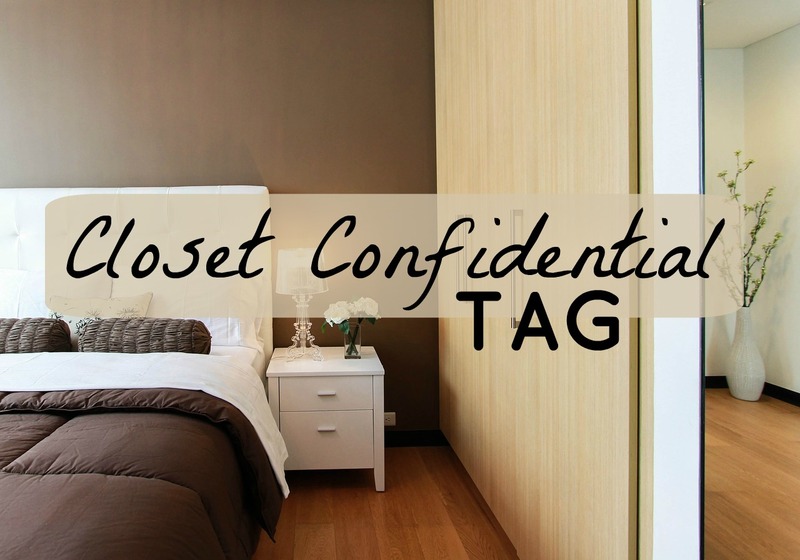 What's the oldest item in your wardrobe/closet? \\ Qual é o item mais antigo no teu roupeiro? Probably a green lacey top that used to be my mum's but it didn't fit her anymore so she gave it to me, years ago. Provavelmente um top verde com renda que era da minha mãe mas que já não lhe servia por isso ela deu-mo, há uns atrás. 2. What's the newest item? \\ Qual é o item mais recente? A black coat from Zara, featured in this blog post. Um casaco preto da Zara, incluido neste post. 3. What's the most expensive item? \\ Qual é o item mais caro? A tailored winter coat that I've never featured in a blog post, you'll know why down below..
Um casaco feito por medida que nunca incluí num post, saberás porquê mais abaixo. 4. What's the most affordable/cheapest item (that you use a lot)? \\ Qual o item mais barato (que uses muito)? A top from H&M that I got years ago and it's still my favourite thing ever. It was only 19,99€. Um top da H&M que comprei há anos e continua a ser a minha coisa favorita de sempre. E foi só 19,99€. 5. What was the biggest bargain? \\ Qual foi a maior pechincha? A couple t-shirts that I got years ago on some crazy sale. They were only 2,50€ and they're really good quality. Umas t-shirts que comprei há uns anos numa promoções loucas. Foram apenas 2,50€ e são de muito boa qualidade. 6. What was the biggest waste of money? \\ Qual foi a maior perda de dinheiro? That tailored coat I mentioned earlier. I spent so much money on it and it didn't end up the way I wanted to. I rarely even wear it. Aquele casaco feito por medida de que falei há pouco. Gastei tanto dinheiro nele e acabou por não ficar aquilo que eu queria. Raramente o uso. 7. What are your 3 favourite items right now? \\ Quais são os teus 3 items favoritos neste momento? That black coat from Zara that I mentioned earlier, a pair of boots and my Springfield jeans, both featured on this post. Aquele casaco preto da Zara que mencionei há pouco, um par de botas e os meus jeans da Springfield, ambos incluídos neste post. 8. What's the most outrageous/colourful item in your closet (that you absolutely love)? \\ Qual é o item mais extravagante/colorido no teu roupeiro (que adores absolutamente)? Probably this red coat. People usually go for neutral shades like black, grey, brown, tan or camel but I love a good statement coat and over the years I've gotten so many compliments on this coat. Provavelmente este casaco vermelho. As pessoas normalmente vão para cores neutras como preto, cinza, castanho, caramelo ou camel mas eu gosto de um bom casaco chamativo e ao longo dos anos este casaco tem recebido tantos elogios. 9. What's your favourite piece that you've gotten as a gift? \\ Qual a tua peça favorita que recebeste como prenda? My new bag that I haven't featured on a blog post yet, but soon enough you'll see it. A minha mala nova que ainda não incluí num post, mas em breve irão vê-la. 10. What's the most comfortable item? \\ Qual é o item mais confortável? Any of my knit sweaters. They're all so cosy and warm. Todas as minhas camisolas de malha. São todas são confortáveis e quentes. 11. What's the most uncomfortable item (but you would take the pain because you love it)? \\ Qual é o item mais desconfortável (mas que aguentas a dor porque o adoras)? These pastel pink heels. They're so gorgeous but they're so uncomfortable. Estes saltos rosa pastel. São lindos mas são super desconfortáveis. 12. Show us your favourite complete outfit (top, bottom, shoes, jewelry, accessories, and all). \\ Mostra-nos o teu conjunto completo favorito (parte de cima, de baixo, jóias, acessórios, e tudo). My favourite outfit at the moment has got to be this one. I wear a variation of it almost every day. O meu conjunto favorito neste momento tem de ser este. Eu uso uma variação dele quase todos os dias. 13. Pick your favourite black item and your favourite white item. \\ Escolhe o teu item preto favorito e o teu item branco favorito. I don't own anything white besides some t-shirts (boring) and a sports bra that I can't show you because it looks really disgusting with deodorant stains all over it... How do I get those off by the way? And my favourite black item would either be the black coat I've already talked about tons in this post, or this crop top that I absolutely love. Eu não tenho nada branco para além de umas t-shirts (aborrecido) e um soutien de desporto que não vos posso mostrar porque parece nojento cheio de nódoas de desodorizante... Como é que se tira essas nódoas, já agora? E o meu item preto favorito é o casaco preto que já falei imenso neste post, ou este crop top que eu adoro. 14. Where do you shop the most at? \\ Onde fazes mais compras? Probably Easywear, Sfera or SheIn. And for shoes it's definitely Manuel Alves. Provavelmente Easywear, Sfera ou SheIn. E quanto a calçado é definitivamente na Manuel Alves. P.S.- Porto has been elected the best european destination 2017! I couldn't be more proud and I'm so happy that the place where I was born and where I grew up was even nominated, winning is the absolute cherry on top! If you voted, thank you so much, and if you've ever wanted to visit then this is the time to do so. Thank you so much for stopping by Lauren! I was never the biggest fan of Zara but the truth is, it's starting to grow on me haha Thank you so much for stopping by Yasmin!